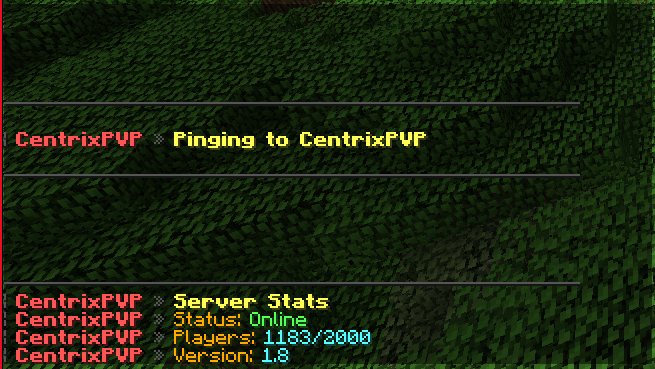 - Easy to ping to other servers. The name is recommended to be the name as in the bungeecord if possible. This returns a ServerInfo. The name is the name that you define when adding the server. Returns a list of all registered servers. Hello I have a probéme with API look at my code in my class you tell me it is good http://pastebin.com/uyFjEzFR ? Est-ce que tu peux PM moi acec un peu plus de informations, comme quoi ne marche pas? La commande ou as-tu un error? Sorry for my bad French/English, I'm Dutch.